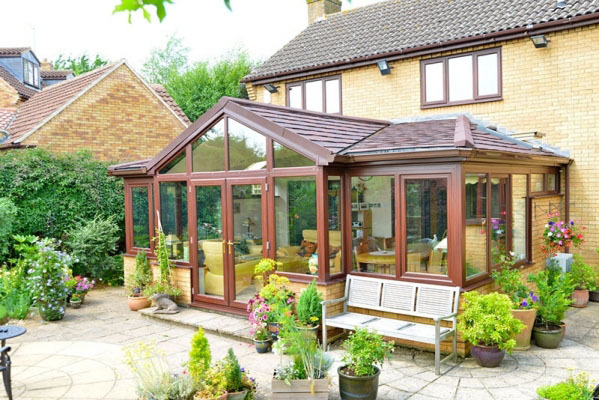 With SupaLite Replacement Roofs, you can take advantage of the in-depth research and enormous investments that have arrived at the perfect replacement roof system for your conservatory. 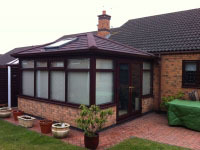 SupaLite replacement roofs have undergone exhaustive testing, design and re-design to arrive at a product for every conservatory roof design and configuration. 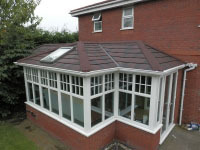 With changes to building regulations in September 2010 it is now possible to specify a tiled, solid and lightweight roof for your conservatory. 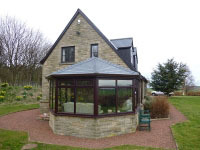 Manufactured from a recyclable blend of slate and polypropylene, composite roof slate offers the authentic look of traditional slate roofs without risk of shattering, fading, warping or cracking. 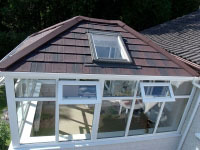 One of the most popular finishing options to compliment the SupaLite Tiled Roof System are our Roof Vents. These well-designed centre pivot vents allows the sash to be opened in a range of positions, thus increasing the amount of fresh air which can be drawn into the room. The sash can also be rotated through 180° and locked, allowing easy and safe cleaning of the outer pane to be carried out. 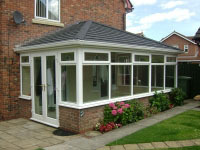 Our windows have a much greater surface area when compared with similar sized windows made by other manufacturers. 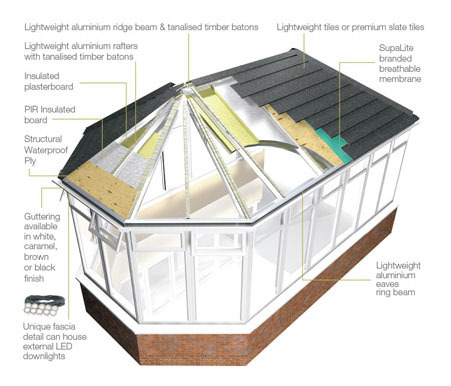 As a result they maximise the amount of natural light in a room.